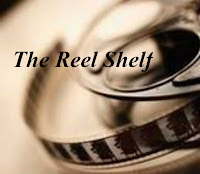 Description: Mercenary Kate Daniels and her mate, Curran, the Beast Lord, are struggling to solve a heartbreaking crisis. Unable to control their beasts, many of the Pack’s shapeshifting children fail to survive to adulthood. While there is a medicine that can help, the secret to its making is closely guarded by the European packs, and there’s little available in Atlanta. Kate can’t bear to watch innocents suffer, but the solution she and Curran have found threatens to be even more painful. The European shapeshifters who once outmaneuvered the Beast Lord have asked him to arbitrate a dispute—and they’ll pay him in medicine. With the young people’s survival and the Pack’s future at stake, Kate and Curran know they must accept the offer—but they have little doubt that they’re heading straight into a trap. Review: This is an another adrenaline pumping read in the Kate Daniel series. We finally meet Hugh D'Ambray, a character that I loved to hate. Hugh is almost like the male version of Kate herself, he has the same fighting skills, tenacity, and stubbornness. The big thing that separates them is Kate's strong moral code and conscience, both of which Hugh finds unnecessary and useless. It's clear that Kate hates Hugh though there is a part of her that can not deny a pull towards him, but to be clear there is no love triangle. There is a lot of conflict, angst, and miscommunication in this book. I know a lot of readers hated Curran in this book but I wasn't one of them which isn't to say that I approved what he did but I knew his heart had the best intentions. We also lose a valuable pack member in this book which was shocking, but necessary in order to move the plot arc along. Words of Caution: There is some language, strong violence, and some crude sexual humor. Recommended for adults. Description: As the mate of the Beast Lord, Curran, former mercenary Kate Daniels has more responsibilities than it seems possible to juggle. Not only is she still struggling to keep her investigative business afloat, she must now deal with the affairs of the pack, including preparing her people for attack from Roland, a cruel ancient being with god-like powers. Since Kate’s connection to Roland has come out into the open, no one is safe—especially those closest to Kate. As Roland’s long shadow looms ever nearer, Kate is called to attend the Conclave, a gathering of the leaders from the various supernatural factions in Atlanta. When one of the Masters of the Dead is found murdered there, apparently at the hands of a shapeshifter, Kate is given only twenty-four hours to hunt down the killer. And this time, if she fails, she’ll find herself embroiled in a war which could destroy everything she holds dear. Review: After hearing about Roland and his immense power for six books, we finally get to meet him in person and find out what his feelings are towards Kate and the pack. When Roland makes a power move, we anxiously see how Kate responds and whether or not she resorts to using her magic to keep the people she love safe or some other means. Unlike the other books in this series, this book zeroes in on the politics of the Pack which is preambled by a prologue written from Barabas' point of view. Curran makes a world shaking choice that opens a new story arc. Though I understood why Curran made his choice, I had a really hard time agreeing with it. Words of Caution: There is some language, strong violence, some crude sexual humor, and sexual situations. Recommended for adults. 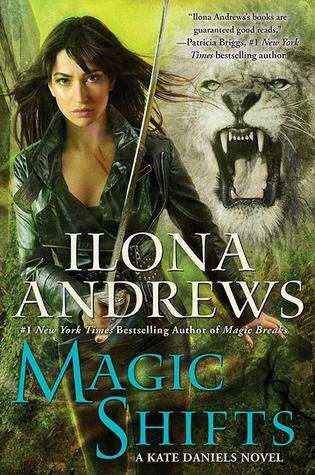 Description: After breaking from life with the Pack, mercenary Kate Daniels and her mate—former Beast Lord Curran Lennart—are adjusting to a very different pace. While they’re thrilled to escape all the infighting, Curran misses the constant challenges of leading the shapeshifters. So when the Pack offers him its stake in the Mercenary Guild, Curran seizes the opportunity—too bad the Guild wants nothing to do with him and Kate. Luckily, as a veteran merc, Kate can take over any of the Guild’s unfinished jobs in order to bring in money and build their reputation. But what Kate and Curran don’t realize is that the odd jobs they’ve been working are all connected. An ancient enemy has arisen, and Kate and Curran are the only ones who can stop it—before it takes their city apart piece by piece. 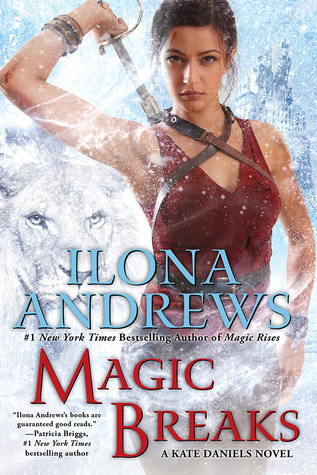 Review: Unlike the other books in this series, I had a really hard time finding my reading groove with Magic Shifts. I think partly is because it reads very much like a transitional book. I wasn't entirely happy with Curran's new lifestyle and retirement. It annoyed me how the Guild is now set up much like the Pack where Curran was beastlord and that all the important secondary characters are now Kate and Curran's neighbors. I also wasn't sure where the plot of this book was going because I didn't feel connected to the missing pack member. It's not until a pivotal scene where Kate is seriously injured did the book pick up for me. I loved learning about the Arabic mythology introduced in the book and I'm curious to see how the battle of Roland vs Kate is shaping up. I hated it when you know who dies. 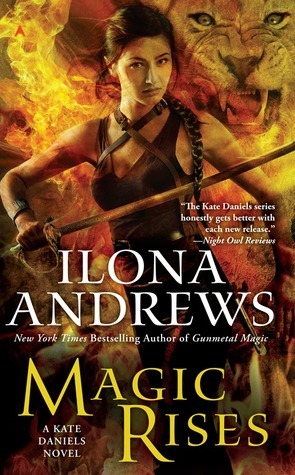 I think Magic Breaks was terrific and I loved it. I too struggled with Magic Shifts. It does get back on track in the next book. I have never read an adult urban fantasy of this kind, but more and more I find myself wanting to give it a go sometime, maybe with this series as you're not the only one I follow who seems to have a positive view of it. It's crazy how many books each adult fantasy series seems to have, so I guess I have a lot of catching up to do! I adore this series! I'm a book or two behind though but hopefully by this summer I can get caught up.